In addition to the classic structural consolidation the company is specialised in consolidations of railway embankments by soil’s treatment with stabilizing products. 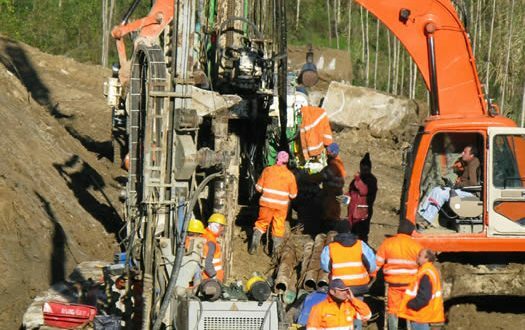 With this system, in two phases of 20 days (August 31th – September 20th, 2009 and August 30th – September 19th, 2010), by total line breakdown, have been consolidated 13,7 km of railway’s embankment on Lavezzola-Alfonsine line. Always with the same system, working this time with railway operation with track’s alternating breakdown, from 1st to 20th August, 2012 have been consolidated 2,1 km of railway embankment between Chiusi and Castiglion del Lago, on Roma-Firenze line.